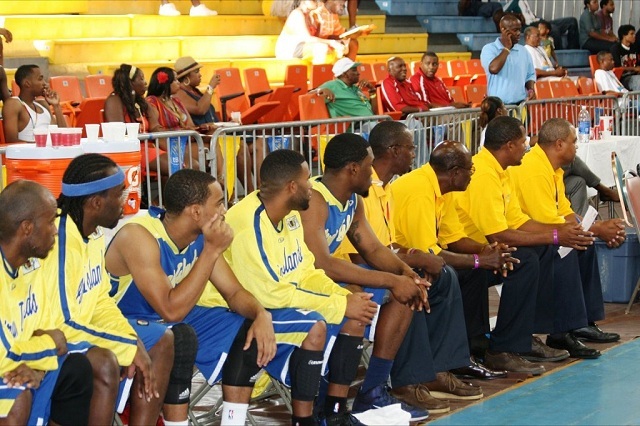 Nassau, Bahamas- The final game of the 2011 CBC Championship was a thriller, with the Virgin Islands edging out the host team of Bahamas by 2 points, 91-89 to be officially crowned as Caribbean Champions. The Virgin Islands team got off to a great start, winning the first half 53-33, but a furious third quarter by Bahamas, 28-19, brought the game close at the end of regulation. In the fourth, Bahamas tried to close the deal but an excellent free-throw shooting display by Kevin Sheppard made the Virgin Islands team hold on to get the victory. Sheppard led the game with 28 points and 7 rebounds. His teammates, Victor Cuthbert and Walter Hodge, also contributed big to the victory with 19 and 18 points respectively. Cuthbert also grabbed 10 key rebounds for Virgin Islands. Both teams were already qualified for the 2012 Centrobasket Championship. The last spot in that 2012 Centrobasket went to Jamaica, who won their bronze medal game against British Virgin Islands, 55-54 in another close hard fought match up. The game was a defensive battle from the start, as Jamaica won the first quarter by 8 points, 18-10, limiting the British Virgin Islands to only 5 field goals. Jamaica extended the lead to 10 points at the half before the British Virgin Islands mounted a come back to win the third quarter 17-10, closing the lead to only 3 points going into the fourth. Everything seemed to go the British Virgin Islands way in the last quarter, as Jamaica failed to score a single point in the final 4 minutes of play, but the British Virgin Islands team did not capitalize and the jamaicans held on to win in dramatic fashion. Garfield Montgomery led Jaimaca with 14 points, while Rashid Cann scored 9 points for the British Virgin Islands.